Customer Service via E-mail? We've listed some tips! For years now e-mail has been the second most popular means to contact a business. The most popular one being by phone. Just try to think of an organisation without an e-mail address. 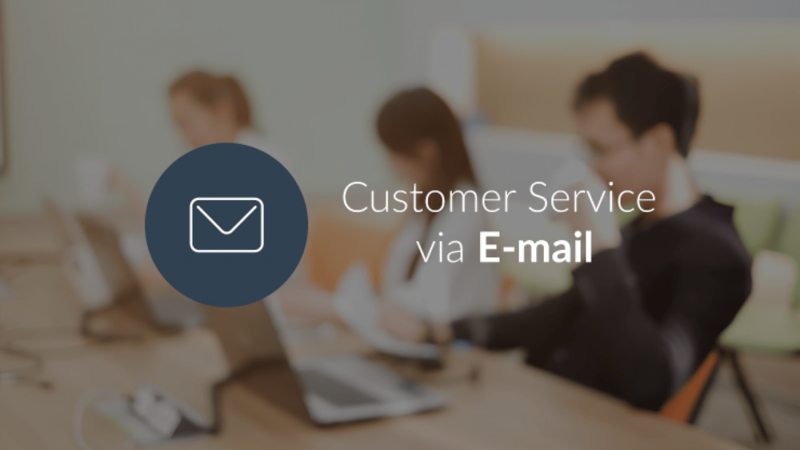 We’ve listed some tips to make your customer service related e-mail conversations run as smoothly as possible. One of the pitfalls of customer service by e-mail is that e-mail conversations can drag on without the customer really getting the solution they need. Replying takes time and this can lead to frustration building up. Because of this, e-mail is best used to answer basic questions only. Whether you work at an SME or a large corporate, it’s essential to have the right tool to coordinate your e-mails. Even if you receive only a couple of e-mails every day, you’ll probably agree your business needs the help of a tool. Preferably supported by the right system. In Watermelon Messenger you’re always in control, because you can immediately see which conversations need your personal attention and which are still waiting to be assigned to a representative. You can also choose to archive or remove an e-mail conversation once it is closed. This way you only see e-mails you still have to answer, keeping your inbox uncluttered and you in control. Should you need to look at a conversation again later, you can always find it in the archive. It’s also possible to add notes to your conversation. These can be used to summarise important points for yourself or a colleague. We’ve made it so a customer’s available details are automatically listed next to the conversation, and you can choose what type of notification you’d like to receive when an e-mail comes in. On your desktop, your mobile or on another e-mail address, anything is possible. So there’s no more need to remember to check your inbox. Determine, together with the representatives pushing the buttons, what a reasonable deadline is for answering a cutomer’s query. But also plan ahead by establishing deadlines for assigning open conversations to a representative. Our advice is to make this as quickly as possible, to prevent e-mails from getting stuck ‘up in the air’. Another important preventative measure is to agree who is responsible for which questions, and to clearly set this out in the protocol. Also determine the maximum number of e-mails it should take to help a customer, and when to continue the conversation by phone. Finally, clearly state at which times you are available to answer e-mails. If there’s lots of e-mail traffic, it is best to communicate this on the website. After you’ve established which representatives are responsible for which questions, you can hand over to them. Assuming, of course, you used to be responsible for your e-mails yourself. Our advice is to clearly communicate your expectations. From the tone to the reply time, make sure everyone knows what to do. As administrator of your Watermelon Messenger account, you have more access and you can review all conversations. This makes it easy to supervise your representatives, but also to gain valuable information. After all, your e-mail tags tell you what the most common subjects of customers’ questions are, and how your business can be improved. A useful feature, even for larger corporates. It may seem self-evident, but sometimes things can still go wrong. During holidays or over the weekend, unread e-mails tend to stack up. Which are generally the busiest times for your organisation? If you want to offer good customer service, you need to plan ahead for those moments. Make sure you have extra staff at hand and establish what to do beforehand, should you still be unable to keep up with your workload. For example, set a quick reply. This lets your customer know, at the click of a button, the reason for the delay and within how many days they can expect to hear from you.